Today, we celebrate the feast day of St. Gabriel, the archangel who announced to Mary that she was to be the mother of our savior. Gabriel also announced to Zechariah that he and St. Elizabeth would have a son and call him John. Gabriel is the announcer, the communicator of the Good News. We can ask him to help us be good communicators as he was. Presence of God in my life. be clear and full of love. to create a life where I frequently deliver good news to others. May I be a messenger of Divine Love every day of my life. Your support helps our young saints-in-the-making receive the faith-based education they need to prepare them for high school and heaven. 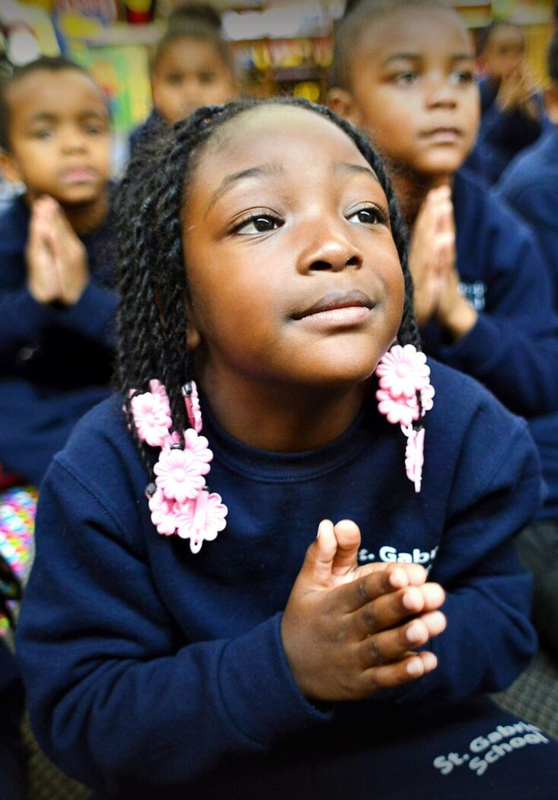 Please consider a gift to Saint Gabriel Catholic School, an Independence Mission School, today!